GAO-13-516: Published: May 15, 2013. Publicly Released: Jun 17, 2013. 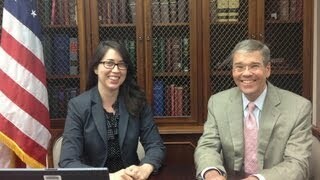 Online video chat with Jim White, Director, Strategic Issues. Due to technical difficulties this file is audio only. Transactions within virtual economies or using virtual currencies could produce taxable income in various ways, depending on the facts and circumstances of each transaction. For example, transactions within a "closed-flow" virtual currency system do not produce taxable income because a virtual currency can be used only to purchase virtual goods or services. An example of a closed-flow transaction is the purchase of items to use within an online game. In an "openflow" system, a taxpayer who receives virtual currency as payment for real goods or services may have earned taxable income since the virtual currency can be exchanged for real goods or services or readily exchanged for governmentissued currency, such as U.S. dollars. Virtual economies and currencies pose various tax compliance risks, but the extent of actual tax noncompliance is unknown. Some identified risks include taxpayers not being aware that income earned through virtual economies or currencies is taxable or not knowing how to calculate such income. Because of the limited reliable data available on their size, it is difficult to determine how significant virtual economy and currency markets may be or how much tax revenue is at risk through their usage. Some experts with whom we spoke indicated a potential for growth in the use of virtual currencies. Beginning in 2007, IRS assessed the tax compliance risks from virtual economies, and in 2009 posted information on its website on the tax consequences of virtual economy transactions. However, IRS has not provided taxpayers with information specific to virtual currencies because of other priorities, resource constraints, and the need to consider the use of these recently-developed currencies, according to IRS officials. By not issuing guidance, IRS may be missing an opportunity to address virtual currency tax compliance risks. Given the uncertain extent of noncompliance with virtual currency transactions, formal guidance, such as regulations, may not be warranted. According to IRS officials, formal guidance requires extensive review, which adds to development time and cost. However, IRS may be able to develop more timely and less costly informal guidance, which, according to IRS officials, requires less extensive review and can be based on other existing guidance. An example is the information IRS provides to taxpayers on its website on the tax consequences of virtual economy transactions. Posting such information would be consistent with IRS's strategy for preventing and minimizing taxpayers' noncompliance by helping them understand and meet their tax responsibilities. Recent years have seen the development of virtual economies, such as those within online role-playing games, through which individual participants can own and exchange virtual goods and services. Within some virtual economies, virtual currencies have been created as a medium of exchange for goods and services. Virtual property and currency can be exchanged for real goods, services, and currency, and virtual currencies have been developed outside of virtual economies as alternatives to government-issued currencies, such as dollars. These innovations raise questions about related tax requirements and potential challenges for IRS compliance efforts. This report (1) describes the tax reporting requirements for virtual economies and currencies, (2) identifies the potential tax compliance risks of virtual economies and currencies, and (3) assesses how IRS has addressed the tax compliance risks of virtual economies and currencies. To accomplish these objectives, GAO reviewed tax laws, IRS guidance and program documents, federal program internal control guidance, and interviewed IRS officials and knowledgeable experts on the topics. GAO recommends that IRS find relatively low-cost ways to provide information to taxpayers, such as on its website, on the basic tax reporting requirements for virtual currencies. In commenting on a draft of this report, IRS agreed with our recommendation. For more information, contact James R. White at (202) 512-9110 or whitej@gao.gov. Comments: On March 25, 2014, IRS issued Notice 2014-21 to describe how existing general tax principles apply to transactions using virtual currencies developed and used outside of virtual currencies, referring to bitcoin as an example of such a currency. The notice is a relatively low-cost way to provide such information, in that it is brief (6 pages) and in the form of answers to 16 frequently asked questions, most of which refer to existing IRS publications and form instructions. The notice provides basic tax reporting requirements information, including that virtual currency is treated as property for federal tax purposes and that when a taxpayer successfully "mines" virtual currency, the fair market value of the virtual currency as of the date of receipt is includible in gross income. Recommendation: To mitigate the risk of noncompliance from virtual currencies, the Commissioner of Internal Revenue should find relatively low-cost ways to provide information to taxpayers, such as the web statement IRS developed on virtual economies, on the basic tax reporting requirements for transactions using virtual currencies developed and used outside virtual economies.